KAR PUC Result 2019 First and Second Results 2019 Karnataka. Unlike other states in India, Karnataka has their own Pre-University Examination Board, which is popularly known as PUC. There are two courses in PUC, one is 1st PUC and another one is 2nd PUC. It’s interesting to know that, the 1st PUC is equivalent to class 11th examination and 2nd PUC is equivalent to class 12th. The Department of Pre-University, Government of Karnataka, is responsible for publishing PUC Results and PUC Supplementary Results in the month of May and July respectively. 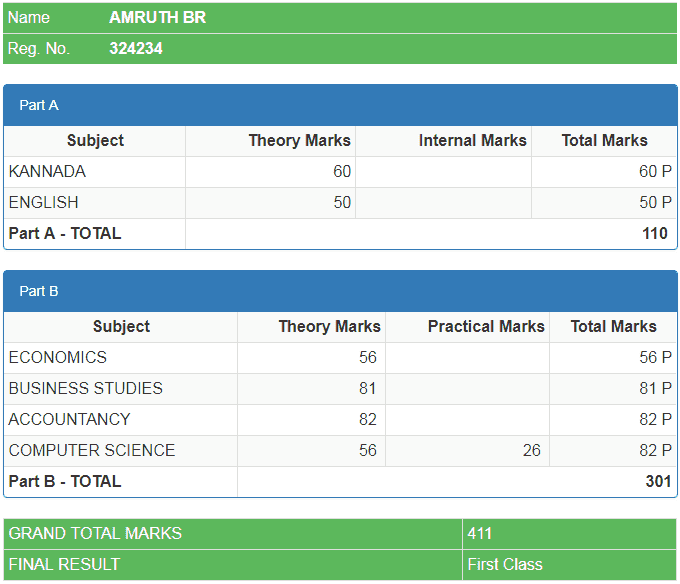 However, we will update all latest news and result date on this page. The Department of Pre-University, Government of Karnataka is the organization for implementation of higher secondary education in the state. All the board exam results of Karnataka are being published by Karnataka Examination Results 2019 official website karresults.nic.in. There is another board called Karnataka Secondary Education Examination Board (KSEEB) responsible for conducting SSLC and other examinations in Karnakata state. However, we have another page on this board. Here SSLC is equivalent to class 10th. After the class, 10th examination students enroll for 2nd-year Pre-university courses in Karnataka. This pre-university course is also known as the Plus-two or Intermediate course. The state of Karnataka conducts examinations at the end of the second year of the PUC for university admissions. The courses offered by the Department are broadly classified under the categories of Humanities (Arts), Science & Commerce. There are 34 subjects are being studied in class 12th (1st PUC and 2nd PUC). The Department of Pre-University, Government of Karnataka administrated 1st and 2nd PUC. Before they published Marks Lists shall be prepared by each examiner which shall along with the valued answer scripts hand over to the Chief Examiners, who shall arrange for their review and scrutiny. The Turks list prepared SShall after review and scrutiny, be sent to the Competent at the end of each day of evaluation work. Last year PUC Results announced on 11th May 2017 at 03:00 PM. However, we might say the PUC 2019 Result likely to be released on mid of May 2019. 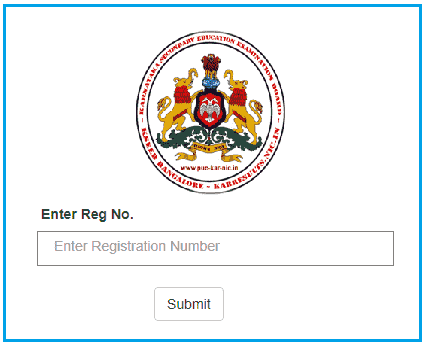 Department Of Pre-university Education, Karnataka Puc Examination Results – 2019 can be checked only on the official website of PUC Karnataka. Now Karnataka Examination Results 2019 official website karresults.nic.in will appear. Please enter your “Registration Number” (at least 6 characters). The eg. of PUC results generated from online is given below. N.B: Students may download or print the online generated Marks Card / Result for future reference purpose online. Students should keep in mind, they have collected the original marks card from their respective schools. The pass percentage in the state for the year 2017 is 52.83, which is 4.37 percent lower than the previous year (57.20). Udupi district is doing well, but the passing was decreased by 0.34%. If any students score lower marks in 2 puc result 2019 then the students have a chance to improve the marks by appearing in the supplementary examination.